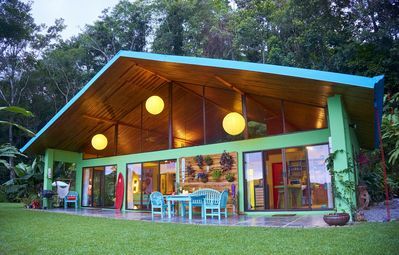 Casa Almendro de la Montana is an Architectural masterpiece. 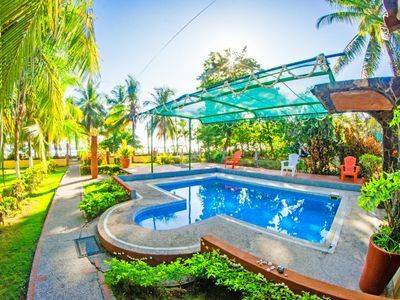 Our beautiful 1 bedroom, 1 bath house is located just above the beach towns of Mal Pais and Santa Teresa. 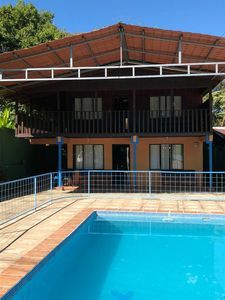 We recently added a small 1 bedroom 1 bath bungalow located 100 ft from the main house. Perfect for 2 couples or a couple with teenagers. 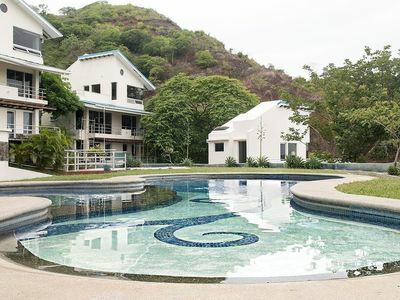 Nestled in the hillside jungle, the ocean and mountain views extend from every angle of the property. 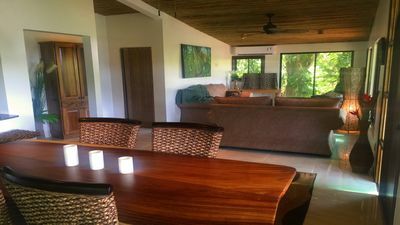 Perfect for couples or small families wanting comfort, safety and privacy while only minutes from pristine beaches, coves, restaurants and shops. Far enough from the hustle and bustle of town to enjoy the peace and quiet of nature, but close enough for all of your needs. 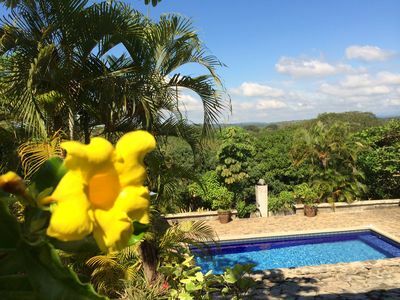 By car it’s 5 minutes to the beach or 8 minutes to Cobano and Montezuma. 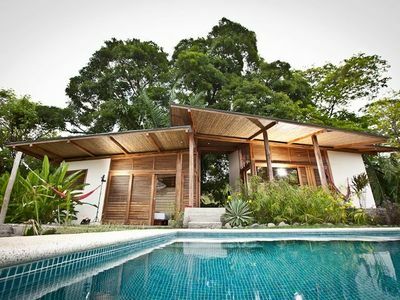 Casa Almendro de la Montana consists of 2 structures separated by a breezeway. One consists of the bedroom and bath with a built-in bench/couch that can also serve as a bed. The other has a large open living space/kitchen and terrace. 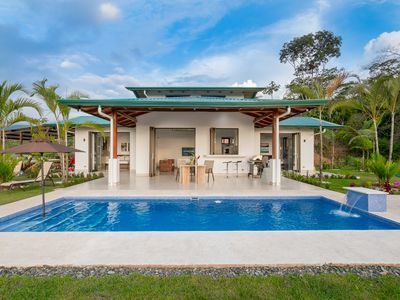 This second structure has a long L-shaped couch that doubles as 2 additional large beds. The kitchen is fully equipped. Infinity Pool. 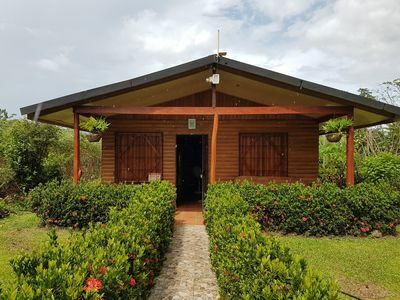 Malpaís:: Malpaís, originally a sleepy fishing village at the northern periphery of Costa Rica's first National Park, the Riserva Absoluta Cabo Blanco, today still retains much of its original tranquility and picturesque charm. Just as in days past, the fishermen arrive each afternoon with their daily catch, which they offer to the public. You won't find fresher fish than that. 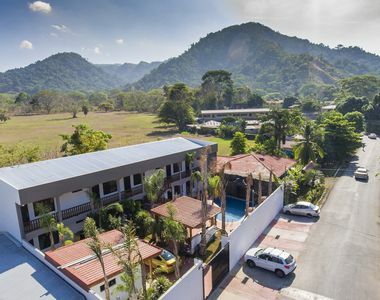 Santa Teresa, only a couple of miles up the road has all the hustle and bustle of a growing tourist attraction, with its hotels, restaurants, bars and shopping. But no matter how busy the main road, the beaches are always uncrowded, with a year round warm Pacific ocean in front and lush tropical vegetation behind. 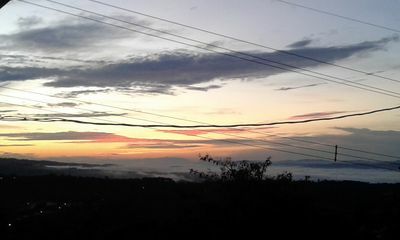 Malpaís is more residential. Only a handful of hotels and restaurants are found along the main road, but the hills are dotted with luxury homes and celebrity hideaways. 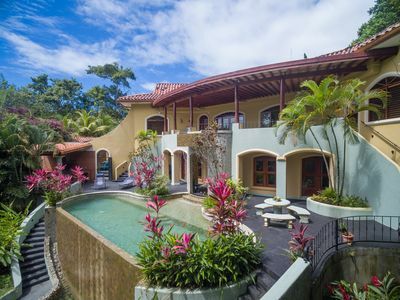 Entertainment: : Being one of the premier surf destinations in Costa Rica, the waves are one of the main attractions that lure visitors. But other recreational opportunities abound. 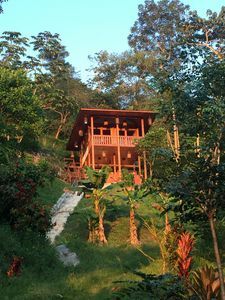 Horseback riding along the beach or in the hills, gliding through the rain forest canopy on zip lines, hiking, exotic bird watching or just lying on a quiet but not entirely secluded beach and getting that healthy tan, it all adds up to bliss. For those looking for entertainment the area offers a wide variety of attractions. During the high season the now famous full moon party blasts off on the beach in front of Ranchos Itauna in Santa Teresa. An annual festival called Manifesto, that brings a week of daily parties with international DJ's and other entertainers takes place in various locations along the beaches. 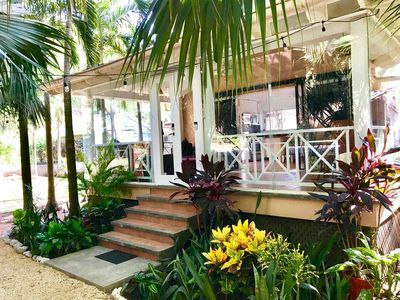 Lifestyle: : Malpaís features a weekly organic market, Saturdays at 3pm at Playa Carmen, an abundance of outdoor yoga studios, massage therapists, chiropractor and other modalities. There are good restaurants along the beaches and there are excellent cafes and bakeries. To This whole area combines breathtaking nature with high quality living. 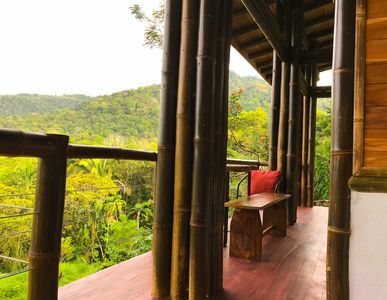 Cabaña Bambura 1: Amazing view, nature sourranded! 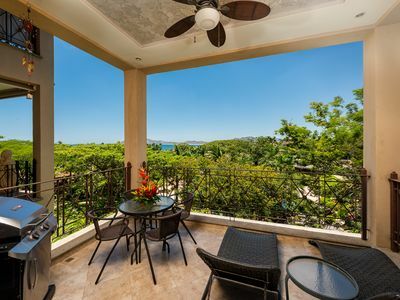 Ventana Del Mar - Your OceanFront Window to the Sea! 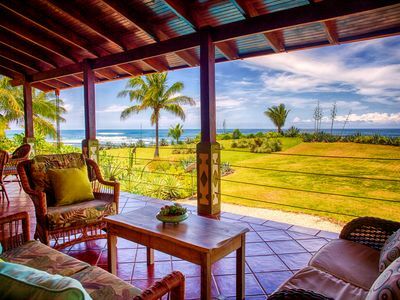 Funky Jungalow with Ocean View! 10min to Beach! 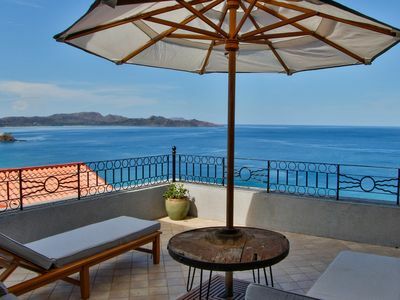 Luxurious, Modern, Large 3 Story Ocean View Home-3 bed/4 bath! 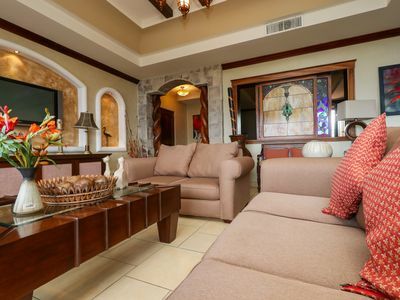 Luxury Duplex in Las Palmas; walk to town/beach; Amenities inc. 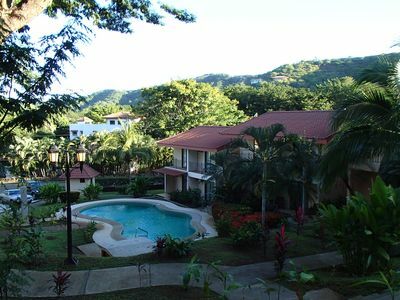 Massive & Gorgeous Tambor Beach Getaway - Perfect for groups, families!